Improved system safety and reliability – Restricted tolerance controls yield superior sealing performance. Significantly reduced installation costs – Installing continuous-length,seamless CNG Tubing takes much less time and effort than welding lengths of stick tubing. Improved system safety and reliability - Using one continuous run of tubing eliminates potential leak points. Product Identification - Wall thickness, maximum allowable pressure, tubing size and thickness are clearly printed on the layline of the tube. 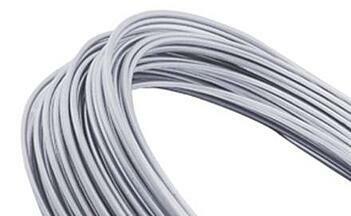 This allows installers to identify the correct tubing used in their application. Better Corrosion resistance - With a 2.5% min. moly. CNG Plus tubing has superior corrosion resistance over standard stainless steel tubing. Traceability – All material is fully heat and lot traceable, allowing us to track products from raw material to finished goods. 100% testing for reliability and safer installation - Every foot of CNG Plus Tubing undergoes 100% hydrostatic testing and positive material identification.